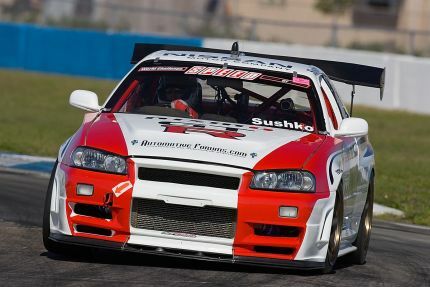 With only days to go until the April 1st race on the streets of St. Petersburg, the race report for the AutomotiveForums.com Nissan Skyline GT-R at Sebring is here. We ventured to Roebling Road in Savannah, Georgia on the Friday before the race week for a final shakedown of the car before our first race in World Challenge. With no issues, we rolled off with the 75ft race support rig containing the spare car and an uncountable amount of spare parts. 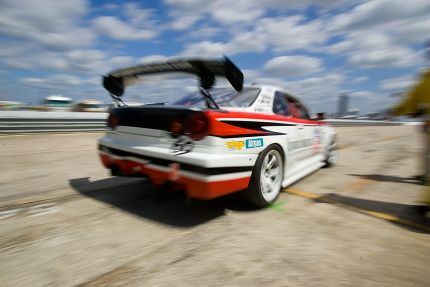 Upon arrival at Sebring, we had a test day on Tuesday, followed by an official SCCA practice on Wednesday, with qualifying following on Thursday, and the race itself in mid-afternoon on Friday. As expected, everything went wrong with the car the first time I took it out on the track on Tuesday, and the entire team scrambled to resolve all the issues one at a time before qualifying on Thursday. Sean Morris, our crew chief, did an incredible job troubleshooting the major issues before qualifying. The entire crew - Josh, Victor, Merritt, and Sean barely got any sleep the entire week leading up to the race, opting to stay in our team truck (we have beds) rather than going back to 2 hotel rooms we had booked for the event at a Woman Athletes' College Dormatory. 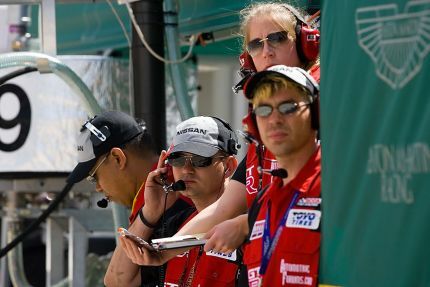 All the problems gave us incredibly little track time during the practice days to setup the car, as we had no baseline to go off of for a track as rough as Sebring. We qualified 25th with a 2:17.2 time. The pre-race ceremony is not for the feint-hearted. As a first time driver in a series of this caliber, my entire body was imploding. As the red lights turned on, signaling a countdown for the standing start and all 32 cars began to rev their engines, I did my best to keep my heartbeat low and my body relaxed. The Viper in front of me seemed so close, I actually did not wish to risk rear-ending it off of the launch, since the GT-R is All-Wheel-Drive. We had practiced standing starts and I had it down to a science, but once the lights went off, I wanted to stay on the safe side for our debut standing start and slipped the clutch a bit more than usual, causing the car to bog off of the line. With our starting position being so far in the back, this strategy also made sense - I wanted to keep my nose clean in the beginning when so many crashes take place. Sure enough, plenty of cars went off and crashed out very early on. I also got hit by a Porsche going into turn one, or should we say he "leaned" on me. Our car is so many hundreds of pounds heavier, that I barely felt the nudge - it was more a sound than a physical jerk. Once the dust cleared, I settled into a good mental zone and kept running consistent times through the race. Our car is down by such an ungodly amount of power compared with the Corvette, Viper, and CTS-V, even though we are heaviest, that it made no sense to go 10/10s. The objective was to finish the race. The power difference was so great that I recall a red Viper spinning out 2-3 times in front of me, and everytime he came back into the rear view mirror like a bullet. That was rather amusing, actually. Also, when I talk of the acceleration deficit, I mean 100% full throttle acceleration from the same speed on the straights. On lap 12-13, I reported white smoke creeping through the passenger (left) window into the cockpit back to my crew chief. Everything still felt just fine on the car, so I was hoping that maybe it was just some marbles caught on fire inside the wheel well. We quickly got black flagged over the radio and I pitted. As soon as I came to a stop, Sean and Josh went to the left side of the car, followed by Sean running back to the wall and grabbing a fire extinguisher. You had to see him throw that pin like a champ. He quickly extinguished the fire around the downpipe - one of our oil supply lines failed and began to dribble oil onto the downpipe, causing the oil to smoke while the car was in motion. As soon as I pitted, with lack of strong breeze, the oil caught fire. 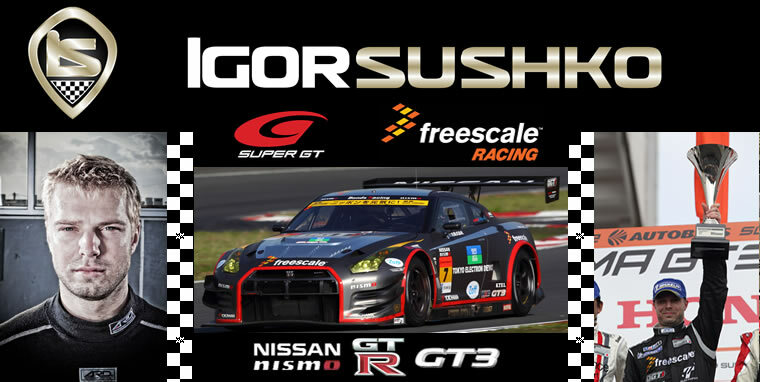 And it was just a small dribble, no major failure and nor has this ever happened before on a GT-R race car in all of racing in Japan or the drag racing here in the US. But this is how it goes in racing - we are writing new records for parts that fail - which had never done so before in over a decade of racing. 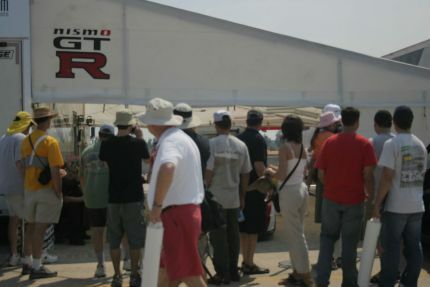 All in all, our debut race went extremely well - the interest in this car was phenomenal - hundreds of people stopped by our paddock to let us know that they came out to Sebring for the sole purpose of seeing the GT-R race. We also made numerous friends and I want to especially thank Randy Pobst and Chip Van Vurst for all of their help. Randy - you are what young drivers such as myself aspire to be both in and out of the cockpit. Chip - thank you for taking us under your wing and bending over backwards to accomodate for us. I am sorry the Potato Chip is serving its nickname permanently now. Everyone - visit http://www.fdiesel.com for your Ford diesel truck needs. Chip and Matt have dozens to choose from in Ft. Lauderdale. Oh, and check us out in AutoWeek! 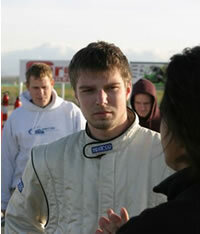 I'm russian journalist from Tuning Mag (St. Petersburg, Russia). Maybe you can tell about you and your car? What about interview?